We're back from vacation and in NFL Draft mode. Kevin opens the show with some belated Mark Sanchez talk, and then Robert Mays from The Ringer (@robertmays) joins the show to discuss what the Bears should do at quarterback in the draft, what a player like Jonathan Allen or Solomon Thomas would mean for the front seven, picking a safety as high as No. 3 and what he will miss most about Jay Cutler. 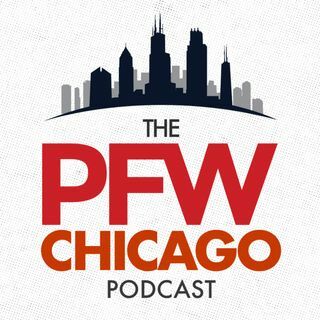 The guys also compare Bulls fans to Bears fans and what Cutty would be like as an analyst. ... See More Kevin wraps up the show with more draft talk and his issue with fall weddings.